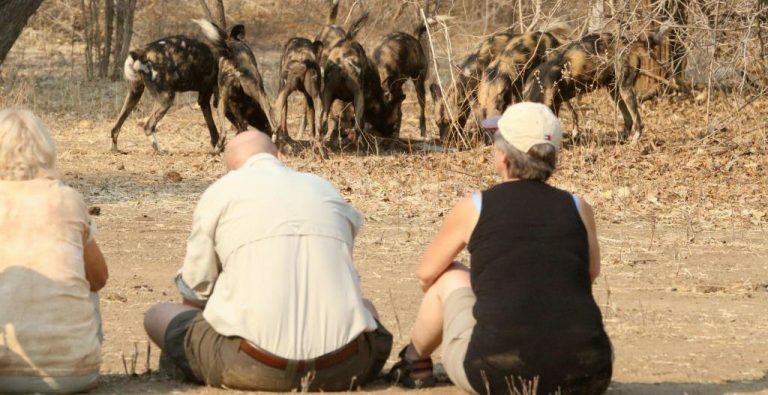 Outstanding Chitake Springs walking safaris – definitely not for the faint-hearted! 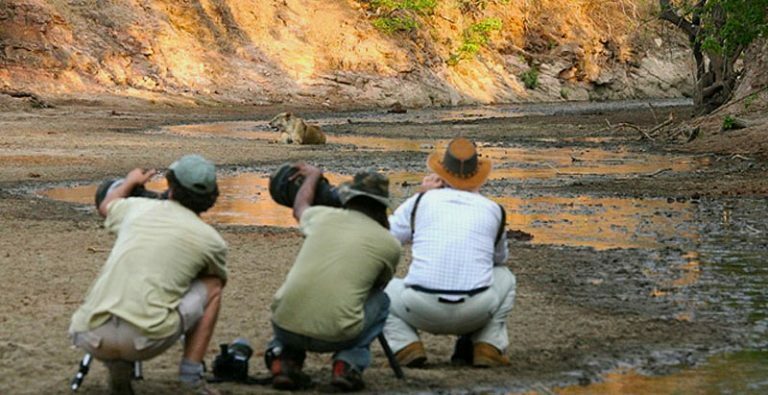 Incredible photography opportunities at Chitake Springs as astounding numbers of big game visit the only available water source in the area and you are just 10 meters away, on foot. Definitely not for the faint-hearted! 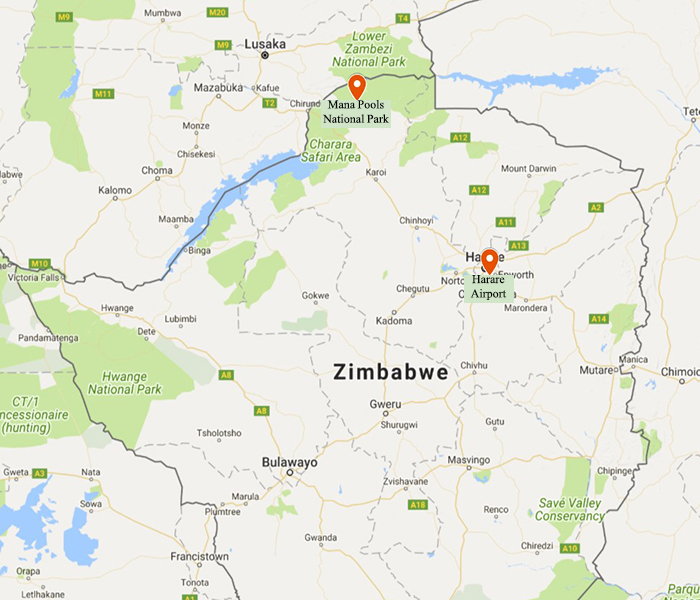 Option to add on an overnight stay in Victoria Falls to experience another World Heritage Site or safari in Matusadona National Park and Hwange National Park. These are seasonal camps open only between 1 May to 31 October each year. This Special offer is valid until 31 October 2019. *Rate may vary slightly to adjust for internal Airfares and park fees. 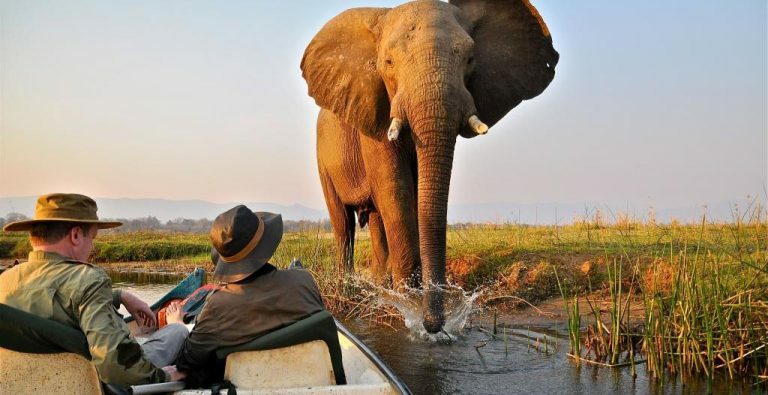 Meet and greet at Harare Airport, light aircraft domestic flight to Mana Pools, transfer to the Camp, two night all-inclusive stay with canoeing safaris. Paddle about 12 Km on your first day to your overnight camp, where you arrive by sunset followed by drinks and snacks under the stars before dinner. 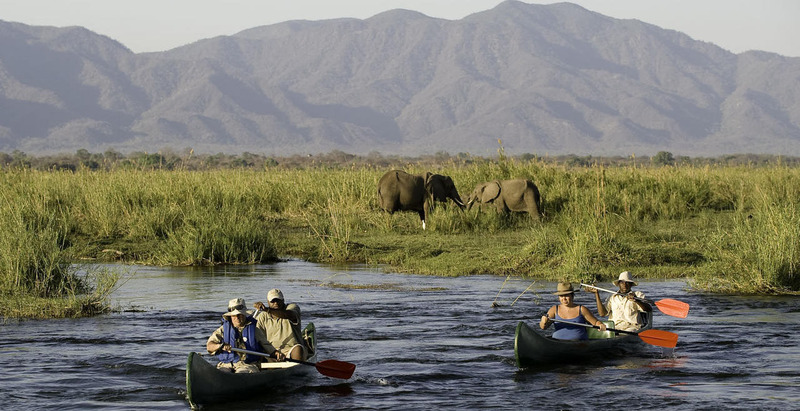 Park fees, an experienced paddler on each canoe and all canoeing equipment included. 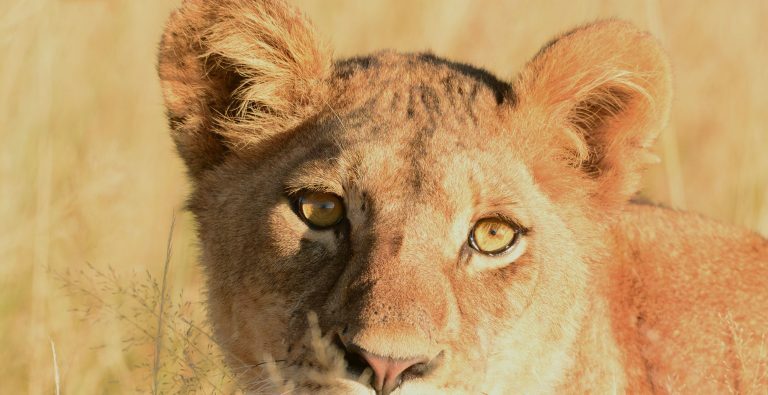 Stay in a semi permanent camp with an authentic African bush feel. 3x3 Walk-in Meru styled ensuite tents, Fans, camping shower and flush toilets, alfresco meals and delicious food prepared by a private chef. The night ends with a nightcap with the sounds of the wild all around you. 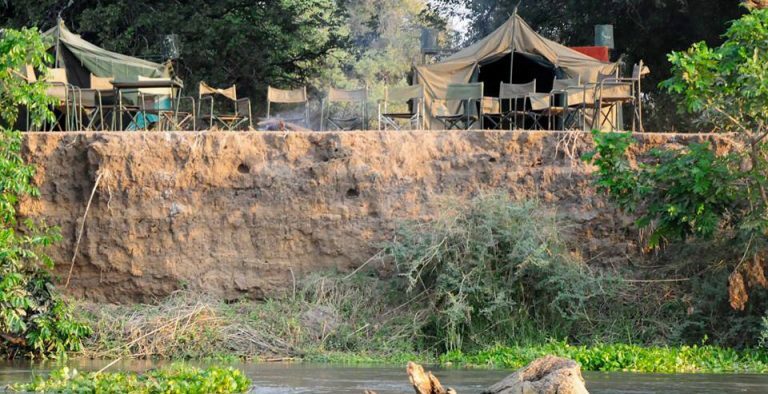 Stay in a semi permanent camp with an authentic African bush feel. 3x3 Walk-in Meru styled ensuite tents, Fans, camping shower and flush toilets, alfresco meals and delicious food prepared by a private chef. 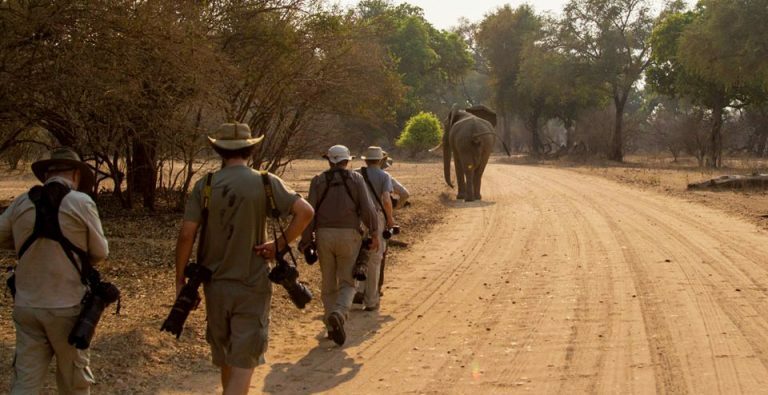 Depending on your internal flight to Harare, you may have time for a morning walk. Transfer flight to Harare, light breakfast. Prices valid until 31 October 2019. *Rate may vary slightly to adjust for internal Airfares and park fees.